Despite its demonic appearance, the GLAIVE will surprise you with its solid form and comfortable ergonomics. 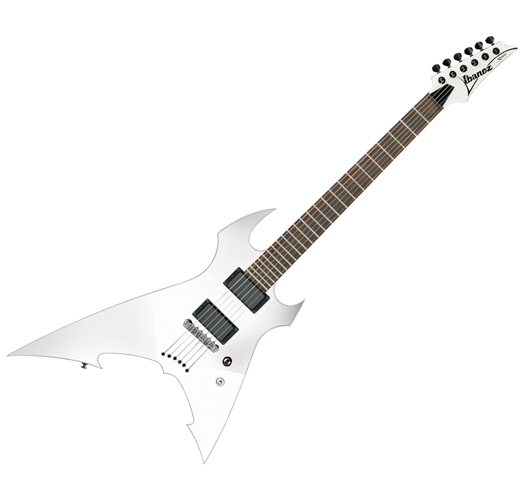 Its high-performance playability works perfectly for young musicians longing for an extreme shaped axe. The killer tone, with roaring low end, comes from the CAP active pickups mounted in both neck and bridge positions, along with the string-through-body construction. The GLAIVE will satisfy your need for aggressive style and sound. CAP-LZ10/20 are newly developed active pickups. They deliver high-power sound that cuts through, while minimizing noise even at high gain settings. The CAP-LZ pickups cover a very wide range, and offer a strong rich middle tone for fast and heavy rhythm and lead playing. String-Thru setup on the XG300, with its solid mahogany body, provides heavy tone, tighter string tension and maximum sustain.